The unique Nature Aquariums and original cays made by masters of aquascaping. 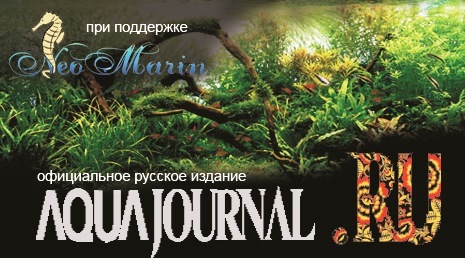 Russian-speaking on-line journal about the Nature Aquarium where you can find theoretic knowledge, advises by Takashi Amano, discussion forum, the most important events and the latest news in the world of plant aquarium. The applications are admitted effective April 2nd till August 31st, 2012. With great pleasure I am congratulating all of us with opening of the 3rd Russian Open Aquatic Plants Layout Contest 2012! Today our contest has a status of the annual, the biggest and authoritative festival of high aquarium art in Russia, Ukraine and CIS countries. Its prestige without any doubt is confirmed by the constant growing of participants’ number and high quality of submitted works. Last year our open contest already attracted aquascapers not only from Russia, Ukraine and CIS countries but also from Spain, Italy, Malaysia, Taiwan, Hong Kong, Brazil and other countries. The professionalism of the judges board much contributes to the image of a serious and unprejudiced contest of the worldwide significance. This year we again present the most qualified panel of judges whose names are immediately associated with high standards of underwater composition, design and artistic taste. Except maitres of aquascaping headed by a “live legend” of the Russian aquarium husbandry Sergey M. Kochetov, the prestige of judges panel is significantly increased by the worldwide known painter Nikas Safronov whose studio has been a partner of ROAPLC for two years already. It is worth mentioning that this year our contest is much supported by our general partner - UNITEX Group of companies, the exclusive distributor of such famous brands as JBL and Dennerle to Russia. The fact that our contest is supported by the biggest world producers of professional goods for the Aquarium surely proves both the growth of ROAPLC worldwide recognition and fast pace of professional aquarium husbandry development in our country. The high level taken by the organizers from the very first contest still outlines our holiday of underwater painting and put on a par with the biggest aqua events in the world. The last year visit to Moscow of Mr.Takashi Amano, the founder of the Nature Aquarium Concept , and his participation as the honorable guest did not just decorate our festival. In fact his visit is the high appreciation of our team work and world recognition of the winners’ works. Again I would like to sincerely thank Eldar Dzhafarov – the head of “La Mer” company. ROAPLC was created in 2010 as a co-project of “NEOMARIN” and “La Mer”. The contribution and merits of Mr.Dzhafarov to the development of the national contest of “haute couture” aquatic plants layout is huge and significant. Thank you so much, Eldar! I sincerely hope that our cooperation in this field will be developing and getting other new formats. The most important thing is that our common start-up (I also mean all those aquariumists who took part in the first two contests) is alive and will further popularize high aquarium art gifting wonderful and talented works. It’s not a secret that today the aquascaping is taken by many people as elite art hardly available for the most of fascinated by the aquarium art amateurs. I think that it is a mistake. Underwater painting is definitely the most democratic way of self-expression. It can let you express your admiration towards surrounding beauty – the Nature in its diversity and splendor – by simple and accessible for all of us language. But in comparison with classic pictorial art we see not canvases and paints but vivid and full of energy plots where everything from sand and stones till snag and moss are created by Nature. And everything an aquascaper needs is to look around and try to re-create in an aquarium a small piece of the great and therefore unique world that belongs to all of us. I am sure that today’s third Aquatic Plants Layout Contest will be a next step in the development of the Russian aquarium art and will contribute to further raising of our country’s prestige in the world. I wish much success and impressive achievements to all the participants!